KiddiTouch ensures that all the toys we sell always comply with the appropriate toy safety standards. We always work closely with our production partners to make sure that not only are the safety requirements met, but also that the toys we sell are suitable for the age and development needs of our younger generation. 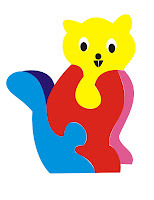 The Lion Mark is a symbol of safety and quality, backed by a Code of Practice and developed by the British Toy & Hobby Association (BTHA) in 1988. It is used only by members of this association. Toys bearing the Lion Mark have been made to the highest standards currently in force in Britain and the European Community (BS 5665/BS EN 71). It is a symbol of toy safety and quality for the consumer. 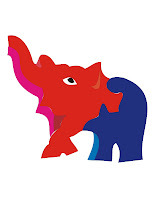 Suppliers of toys who are members of the BTHA will include this mark on their toys. When buying toys, always buy with the child's age in mind and ensure that the product is suitable for this age. Little children can easily choke on small parts of the toys. The under-3s are especially at risk because they put everything into their mouths to explore shape and texture. It is impossible to watch a child all the time and even if you think your child has understood your warnings, a small toy can prove tempting. A safety message such as 'not suitable for children under 36 months because of small parts' must be taken very carefully. Toys will be clearly marked if they are unsuitable for the under-3s. Look for a text panel, or the following symbol, which indicates that the toy is unsuitable as it may contain small parts that could cause a choking hazard. Messages such as 'recommended for children aged three - four' or 'play age five - seven' are just a guideline. Age guidelines can help you choose if the toy will be fun for your child to play with and if it will prove stimulating. 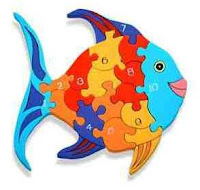 Remember, what he or she enjoys playing with at the moment - for example, if a 10-piece jigsaw is easy for your child to complete, try one with 20 or 25 pieces. Often a toy is well designed and safe but causes problems when it gets into the wrong hands. A building brick that is safe, interesting and educational for an older child can be lethal if a toddler chokes on it. Likewise, a toddler who can only sit up, won't cope with a trundle truck and will just keep falling off. Think about your children and what they can manage before you buy a toy. Keep toys intended for older children out of the reach of younger children. All products that KiddiTouch sells containing small magnets must have this warning. There is no immediate risk to children playing with these toys in a normal or foreseeable way, but parents should take care if their child has a history of swallowing small parts, or mouthing their toys, and care should be taken if the child the toy is intended for has younger brothers and sisters.